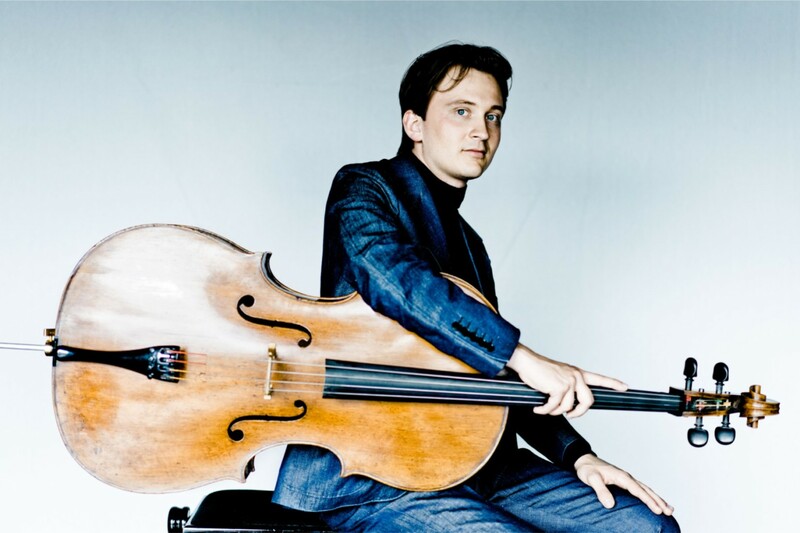 Check out our Q&A with the multiple award-winning German cellist Benedict Kloeckner, who opens Harrogate International Festivals’ Sunday Series. Harrogate International Festivals’ Sunday Series, now in its 25th year, has built an astounding legacy of bringing the finest classical musical talent from around the world to Harrogate. It begins this January with cellist Benedict Kloeckner and Japanese pianist Momo Kodama. The recital features a rare combination of these two world-class musicians playing Schumann and Chopin. You’re pretty young to have such an acclaimed career, did you start playing very young, and are you from a musical family? When I was 8 years old, my brother started playing in a piano trio. I would always be asked to turn pages for the pianist, and this was the time I fell in love with the Cello. What or who inspired you to pursue a career as a professional musician? Jaqueline du Pré, with her recording of the Elgar cello concerto, was the first cellist who inspired me a lot. Also my professors Martin Ostertag and Frans Helmerson, and mentors like Michael Sanderling, Gidon Kremer and András Schiff helped and encouraged me to pursue a career in music. Who are some of your favourite composers, musicians and bands from the past and present? I love Franz Schubert, Peter I. Tschaikovsky, Dimitri Schostakovich, Frédéric Chopin, The Beatles, The Eagles, The Smiths, Adele and many more. Is there a particular composer or musical passage that never fails to move you emotionally? Elgar Cello concerto never ceases to move me deeply. My perfect day starts not too early in the morning. It would include lots of good music and food, skiing, and going out meeting old and new friends. My cello. It is a very beautiful instrument from the 17th century. Who were you, or would you be nervous to meet? I would be excited to meet Edward Elgar. Is there something you would like to do more of in the future? I would love to play more new music, I think it can have such a special connection with the audience and performer. Have you been to Harrogate before, or have any connections to Yorkshire? If so, what? Unfortunately not, but I am very much looking forward to visiting and discovering it! What can audiences expect from your performance with Momo Kodama in January? A concert featuring a variety of emotions, ranging from moments of pure beauty and magic to moments of absolute despair. Pieces which move in a very deep way. I am really happy to play these pieces with Momo Kodama, she is one of the most outstanding pianists of our time. A real poet on the piano, her wide range of sound colours, and noble delicate approach never ceases to amaze and touch me. How would you convince someone who is a bit intimidated by classical music to come along? Firstly I would show them some cool classical YouTube videos and then tell them that neither a suit nor detailed musicologist knowledge is required to come to the concert. However, no words can convince as well as the music itself so I would just ask them to come and give it a try with the optimism that they will enjoy and return! Benedict Kloeckner and Momo Kodama will perform on Sunday January 21 at The Old Swan Hotel, Harrogate. Book online or call 01423 562 303.